Economists trying to figure out why the economy isn't growing any faster may be overlooking a couple of obvious factors. 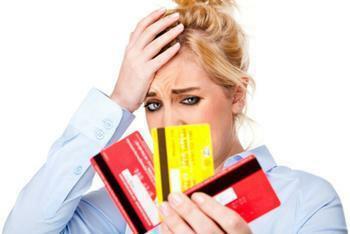 Consumers are paying on $1.3 trillion in student loan debt and another $1 trillion in credit card debt. That takes a big bite out of millions of consumers' disposable income. Helene Raynaud is CEO of Guidewell Financial Solutions, a non-profit credit counselor in Maryland. She says that credit card number is particularly troubling since credit card interest rates are on the rise. "If interest rates rise again this year, these consumers may find themselves struggling to make ends meet," she said. Raynaud says there are three steps consumers can take to begin to safely get out of debt, and build up their credit scores at the same time. The first is to seek help and advice from a non-profit credit counselor. The process is fairly simple. The counselor, who charges a very small fee, helps clients review their income, expenses and debt. After an assessment, the two sides work together to establish a household budget. Just a small decrease in spending can help, and a small increase in income helps even more. Once a household isn't living paycheck to paycheck, it reduces the stress level. Any extra money can be divided between savings and increased debt reduction. A second step is to use non-profit tools to rebuild credit, which may have become damaged by mounting debt. Raynaud recommends a program like the one offered by non-profit Credit Building Nation. The tool, called Save 2 Build, is simple. The consumer receives a loan for $300, which is locked away in a savings account where he or she can't access it. The consumer then makes payments of $26 a month on the loan, with each payment reported to the three credit bureaus. Once the $300 loan is repaid, the consumer gets access to the $300, which can then be used to establish a secured credit card, enabling the credit-building process to continue. An improved credit score carries many financial benefits, including a lower credit card rate and in most states a lower car insurance rate. Finally, Raynaud says a for-profit credit repair company may be able to provide further help, though she advises caution is selecting a company. She notes the Federal Trade Commission has said there are reputable companies in this business, but they really can only do things consumers can do for themselves. These companies can take the time you might not have to deal with credit reporting agencies to remove inaccurate information from your credit report. But she stresses that if the negative information is accurate, it cannot be removed by anyone.